Stockholm will host one of the most prestigious events in equestrian sport next summer when the City joins the international calendar of the Longines Global Champions Tour and GCL. From June 13th to 16th 2019 the elite horses and riders in show jumping will attend the Longines Global Champions Tour of Stockholm at the City’s historic Olympic Stadium. The arena has a strong heritage in equestrian sport dating back over 100 years, including the Olympic Games in 1912 and 1956 and the World Equestrian Games in the summer of 1990. Stockholm, Sweden now takes its place on the LGCT global circuit for five years joining a powerful list of cites including London, by the Eiffel Tower in Paris, Berlin, Shanghai, Doha, Madrid, Rome as well as stunning events in Miami Beach and at Monaco’s famous yacht harbour. The premium show jumping event, consisting of individual and team championships, will bring a modern dynamic to the historic sports venue and will attract an international audience to the City as well as broadcasting to TV and digital viewers worldwide. The event is organised in close co-operation with The City of Stockholm meeting the City’s goal to be an attractive destination for a wide range of top-level events. "Our goal is to attract global events to Stockholm. There is a huge interest within the horse community, which makes it very exciting to present Longines Global Champions Tour and GCL; both for the citizens in Stockholm and also to attract an International audience" said Karin Wanngård (S), Financial City Commissioner, The City of Stockholm. Global Champions gives the city a new annual event linked to a strong International brand. It strengthens the image of Stockholm as a sustainable event city internationally and is an important addition to the city’s mix of events as equestrian sport reaches a broad audience of all ages and is popular with families. The equestrian sport is both wide-ranging and has a strong following in the Stockholm area. 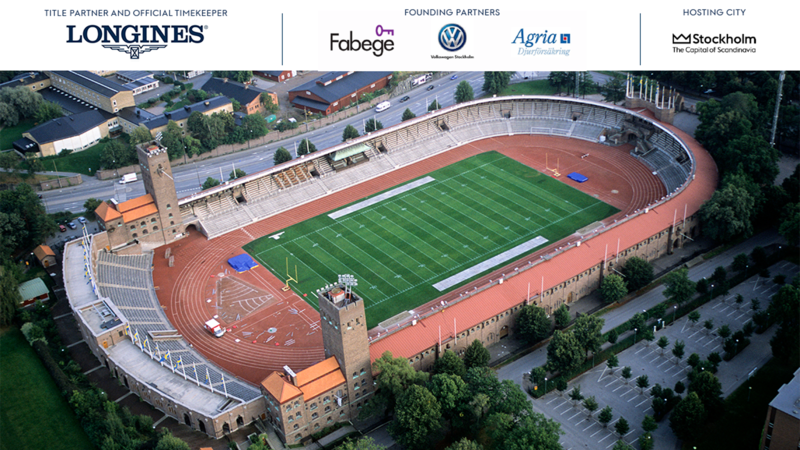 "Stockholm Olympic Stadium is an impressive backdrop and is an important historical setting and has shown over the years that it is the best location for big events" said Johan Pagerup, CEO, Sport & Evenemang and head organizer. Alongside the main competitions of LGCT and GCL, which attracts the world’s best riders and horses, the concept of Stockholm Horse Week will be launched with a focus is to inspire, broaden and create a celebration with the people around equestrian sport. Starting next year an International dressage competition will be held as well as an International youth competition in dressage and show jumping. "One of our most important goals with Stockholm Horse Week is to create a platform and to offer a range of competitions to show the diversity of equestrian sport" said Sara Johansson, Head of competitions.